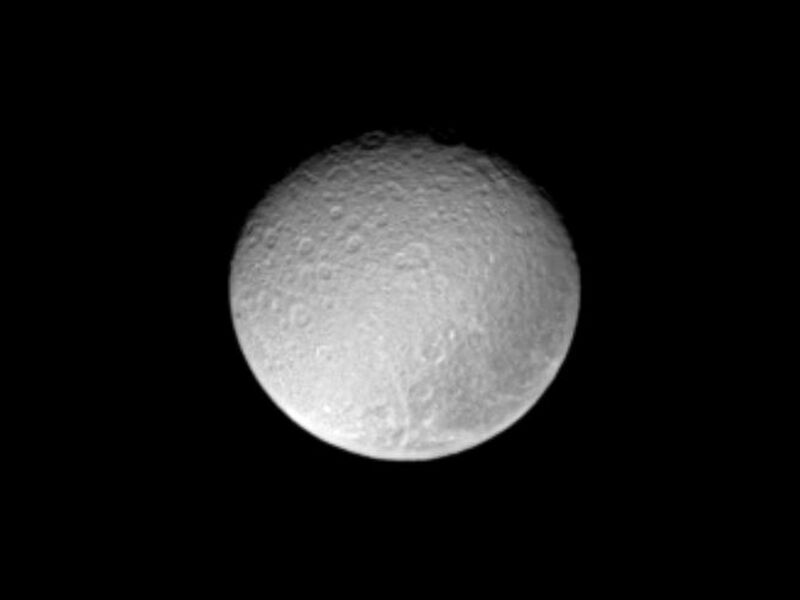 The ancient and battered surface of Saturn's moon Rhea shows a notable dark swath of territory near the eastern limb in this image from Cassini. 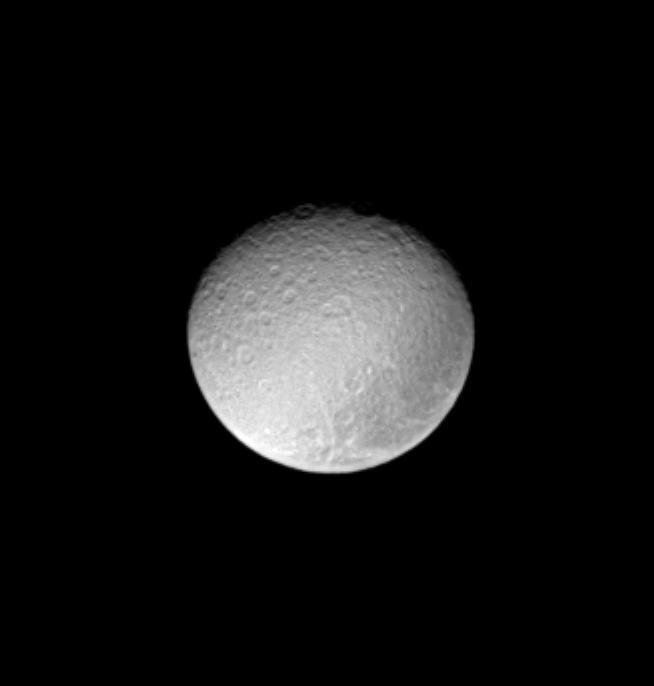 This view shows principally the Saturn-facing hemisphere on Rhea (1,528 kilometers, or 949 miles across). North is up and tilted 40 degrees to the right. 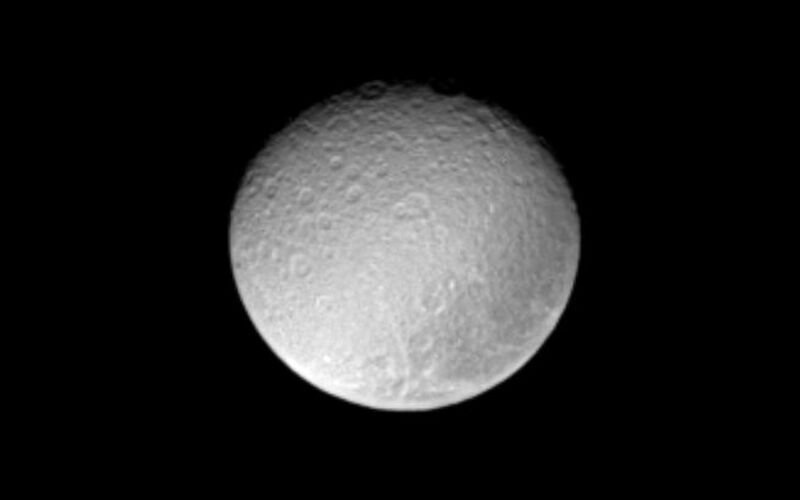 The image was taken with the Cassini spacecraft narrow-angle camera on March 7, 2005, through a filter sensitive to wavelengths of ultraviolet light centered at 338 nanometers. The view was acquired at a distance of approximately 1.8 million kilometers (1.1 million miles) from Rhea and at a Sun-Rhea-spacecraft, or phase, angle of 30 degrees. Resolution in the original image was 10 kilometers (7 miles) per pixel. The image has been contrast-enhanced and magnified by a factor of two to aid visibility.